Perhaps you’re ecommerce business is on the brink of breaking borders and expanding into new territories and you’re worried about localisation and catering to new customers. Perhaps your sales rates and revenues have recently soared to stratospheric levels, but worry your platform doesn’t have the capabilities to manage the next big sales event. Maybe your online business is still in its infancy, but you’re looking forward to future-proof yourself against the multitude of performance pangs and technical issues that can bring even the biggest brand to its needs. Whatever your individual situation and stage of life your business is at, considering your options when it comes to ecommerce platform providers is always recommended. Unsure as to whether or not your business needs the boost? No matter whether you’re convinced your current setup is fit for task or you’re weighing up the pros and cons of Big Commerce Enterprise vs Shopify Plus, below you’ll find just a few key ways a platform overhaul can help your business grow. Nowadays, people aren’t simply buying through the main website of their chosen retailer or vendor. 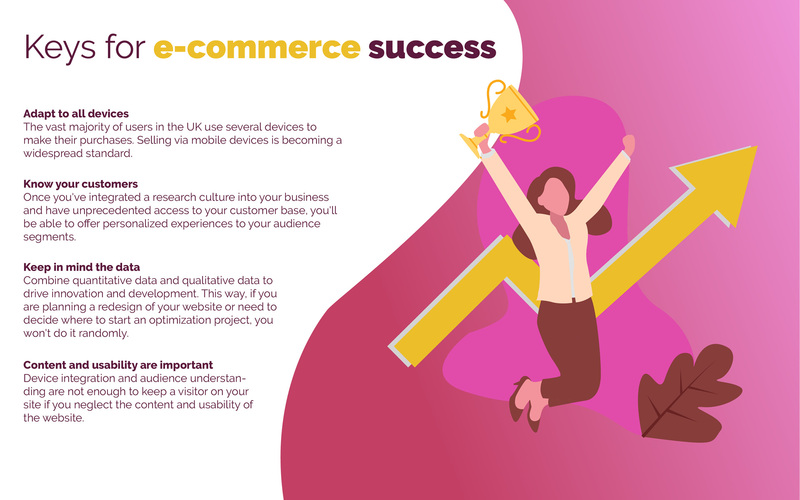 In fact, for many the prospect of intentionally heading to a specific ecommerce website with the intention of purchasing a specific item is as old hat as trips to the high street with a shopping list. Today, some of the most successful merchants online are taking advantage of multi-channel sales, offering their products via major marketplaces like eBay and Amazon, as well as social platforms such as Facebook and Instagram. What’s more, multi-channel sales can be put to use through messaging apps. With most shoppers now using their mobile devices for at least some part of the purchase process, it makes total sense to make multi-channel sales a priority. The best ecommerce platform providers for enterprise-level businesses will accommodate this, while one-touch payments and additional optimisation for mobile can both be utilised to make the most of multi-channel potential. Gone are the days when you had to have the expertise of a developer to make changes to your website, let alone create one. The leading platforms of day provide customers with user-friendly tools and easy access to help them make the alterations and addition they need. Often, only a basic knowledge of coding and templating languages are required to get stuck in and making extensive changes. Furthermore, the option for customisation means that the usual niggles that cause issue for retailers can be amended quickly and effectively, without lead times and costly consultant fees. Checkouts, for example, have long been a thorn in the side of online retailers. Simple changes like address verification make a welcome addition to both the customer and merchant. If you’re not thinking about mobile as a priority when thinking about your website, you’re likely to get left behind by competitors. The most reputable platform providers will ensure responsive design as a standard, ensuring mobile customers get the best possible user experience when browsing your URL.